Today I saw the movie Noah. Nowadays biblical epics invariably invite controversy, and this Noah is certainly no exception. Needless to say, no movie about a biblical story can confine itself to the canonical text. It would be over almost in no time if it did! All biblical movies – both good and bad, both reverent and irreverent – supplement the basic story with imaginative interpretations and take certain liberties with how various characters are presented. Thus, much of Cecil B. DeMille's blockbuster 1950's epic The Ten Commandments offered an imaginative reconstruction of Moses' early life. To fill in those missing years, the movie claimed to have relied on ancient speculations found, for example, in Philo's Life of Moses and the writings of such ancient authors as Josephus and Eusebius. In a similar vein, Noah may have relied on some traditional speculations about the world before the flood. Here I am relying on a friend and former classmate, who knows much more about such matters than I, who writes that "it was a very well done portrayal of a combination of Biblical and Midrashic views on the pre-Deluge world and on the flood itself, even to the Fallen Angels 'being made one with the earth'." My friend also notes that the portrayal of Noah as morally offended by meat-eating "was perfectly Biblically appropriate, since the Covenant with Adam forbade it: 'I will give you all the plants for food.' Ironically , it was the post-flood covenant with Noah [Genesis 9:3-4], that subsequently permitted eating meat. Noah's family's revulsion to killing animals was not eco-babble veganism but the appropriate response to a covenant still in effect." In reality, most of us are probably only superficially familiar with the story of Noah as recounted in Genesis. In the traditional Roman liturgy, much of the story (Genesis 5-8) used to be read as the second "prophecy" at the Easter Vigil. That, of course, reflected the traditional Christian view of Noah (along with Adam, Abraham, and Moses) as a "type" of Christ, the Ark as an image of the Church, and the water as a symbol of the saving water of baptism. But hardly anyone attended that lengthy early morning service, and in any case the 1955 reform eliminated Noah from the Easter Vigil entirely. In the 1970 Pauline lectionary, a small excerpt (Genesis 9:8-15) dealing with God's covenant with Noah ("the covenant of the rainbow") gets read on the First Sunday of Lent every third year. That's pretty much it. Nor is reading the actual biblical story on one's own particularly easy. It is somewhat long - spread out over four chapters in Genesis. Unlike the creation story, which presents the two different accounts separately, the flood story combines the two accounts in a composite narrative of the two sources (commonly called "J" and "P") interwoven in such a way that one goes back and forth between the sources. The combination of two at times seemingly contradictory accounts can make reading the story as a whole somewhat confusing. So it is safe to suggest that most people's picture of Noah is a vague memory of what little they may have picked up in elementary school religious education - mainly something about a big boat and lots of animals. This movie version certainly goes well beyond such sanitized and superficial Sunday school lessons. In fact, it does a very good job of depicting the human and ecological catastrophe that came about as a consequence of human sin. True, Tubalcain did not get on the ark in the biblical account, Noah's sons all already had wives when the flood came, and there were no violent family conflicts on the ark. But even these somewhat dubious alterations seem to serve a serious purpose. In the biblical story, the sin of Ham just happens in Genesis 9, with no context or forewarning. In the film version, Ham's resentment at not having a wife and his willingness to be mentored by Tubalcain not only set the stage for Ham's subsequent sin but, more to the point, highlight how fallen human sinfulness survives the flood and persists even into the recreated world. One of the ambiguities in the story is the character of Noah himself. Genesis 6:8 tells us that Noah found favor with the Lord, and the movie makes much of his fidelity to the original covenant as the last of the line of Seth. Still, Noah's righteousness remains ambiguous. In the biblical account, he seems somewhat passive - unlike his descendant Abraham. Indeed, the contrast has often been made between Abraham's intercession on behalf of the citizens of Sodom and Noah's apparent passivity in the face of the destruction of the rest of humanity. In the film, Noah is presented as less unlike the rest of humanity than a simplistic reading of the biblical story might imply. Indeed, he is quite conscious of his bond with the rest of humanity and sees himself simply as an instrument of God's avenging justice, of which he too and his family are also to be victims. His notion that God wills the human race to die out can, of course, be interpreted as modernistic environmentalist misanthropy. But it can also be interpreted as a theological statement about universal human sinfulness and its condemnation. The dramatic denouement (which I'll not reveal for the benefit of any reader who has yet to see the film) may be interpreted in a modernistic manner as suggesting that mercy is opposed to God's justice and human fulfillment requires rebellion against God. But it can also be interpreted - more consistently certainly with the spirit of the biblical account - along the lines later suggested to him by Ila. The movie may not have been intended as a catechetical lesson. But that's what the biblical stories ultimately are. The story of Noah is a story of God's recreation and restoration of his fallen creation - an anticipation of his definitive recreation and restoration of the world in Christ. Or, as the old prayer that used to be sung after the Noah reading in the traditional Easter Vigil expressed it: "that all the world may experience and see how that which was fallen is lifted up, how that which was old is made new, and how all things are restored by him who is their first beginning." The Gospel According to John, which in so many ways sets the tone for the second half of Lent, portrays Jesus performing a series of miracles, which John calls “signs.” The specific “sign” in today’s Gospel is a truly monumental miracle, for, as the formerly blind man himself testifies to the authorities, it was unheard of that anyone ever opened the eyes of a person born blind. Just as the man blind from birth receives physical sight, so he is also gradually given increasing insight into who Jesus is, culminating in his profession of faith, “I do believe, Lord.” Meanwhile, he receives his sight through a series of steps in which he participates as instructed. Jesus spits on the ground, makes a kind of clay with the saliva, smears it on the man’s eyes, and tells him to wash in the Pool of Siloam. The man goes, washes, and returns able to see. Meanwhile, we watch this unnamed (hence, universal) man develop his insight into who Jesus is - a growth in faith which exactly parallels the increasing unbelief of Jesus’ adversaries, who can certainly see with their physical eyes but are spiritually blind - obstinately so. Physically the Pharisees could see, but spiritually they would not see, because they already knew with absolute certitude that Jesus was not from God. Unlike the disability of the man blind from birth, theirs was a willful choice not to see. God, however, has his own way of acting as the story of God’s surprising selection of an insignificant shepherd as Israel’s king illustrates. Not as we see does God see. What God does can come as a complete surprise. Likewise, what God wants of us may also be a surprise. The blind man’s meeting with Jesus caused him literally to see everything in an altogether new light – all because he had first been seen by Jesus himself and had gone where Jesus had sent him, allowing something new and different happen to him when Jesus entered his life. It’s easy to appreciate why the Church chose this Gospel account to express what happens when one turns one’s life around and obeys Jesus’ command to go and wash in the waters of baptism. What happens is a wonderfully new and bright outlook on life. At the same time, it is also an enormous challenge. Embracing belief in Christ opens one to a new life of faith and worship, but also potentially puts one at odds with the darkness that still seems to dominate the world. Saying “Yes” to Jesus inevitably means saying “No” to other options. The Scrutiny ceremony which we celebrate today is specifically for the Elect in the final phase of preparation for baptism, for whom this Lenten season is intended to be an especially transformative time, just as the blind man’s encounter with Jesus proved totally transforming for him. The new birth of baptism, the gift of the Holy Spirit, and communion with Christ in the Eucharist are fundamentally transformative experiences, intended to empower the baptized to live as children of light, producing every kind of goodness. Lent, however, is for all of us. Certainly, we must not imagine that catechumens are the only sinners in our midst in need of conversion. All of us are being challenged to continuing conversion throughout our entire lives. And so we join with the elect today in praying to God for the grace to overcome the power of sin that still infects our own hearts. Lent is our opportunity to be changed, as was the blind man, and to be challenged, as were the Pharisees, to reject our own blind spots and to respond anew to Jesus’ invitation to live in the light. Baptism, for which the elect are in the final phase of preparation, is but the first sacrament of conversion, the first sacramental remedy for sin. The challenge to live as children of light in fact and to keep on producing every kind of goodness remains an ongoing one. The conversion to which we are all called is a continuing challenge to say “Yes” to Christ and “No” to other alternatives, a challenge which continues throughout the entire course of life. It obviously does not cease with baptism. For us who are already baptized, therefore, we may avail ourselves of the second sacrament of forgiveness - what the early Church charmingly called “the second plank after shipwreck” – the sacrament of Penance, in which, through the ministry of the Church, we receive forgiveness from God for the sins we commit after baptism and so may be repeatedly reconciled with God and with his Church. The sacrament of penance is available all year, but is especially and more widely available in this Lenten season. So, even if we manage to do little else during this Lent, let us at least make it a point to do that. 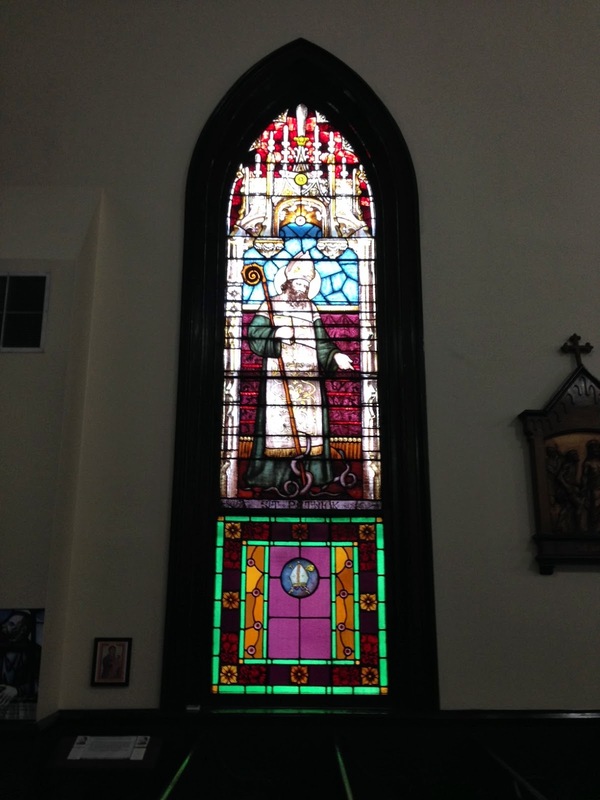 Homily for the 4th Sunday of Lent, Immaculate Conception Church, Knoxville, TN, March 30, 2014. In his 2014 State of the State Address, the Governor of Tennessee proposed making college free for graduating high school students. Having myself been the beneficiary of a free public university education, I can only applaud the Governor's initiative and wish he would go all the way and move toward free 4-year college and university education for all who are qualified! 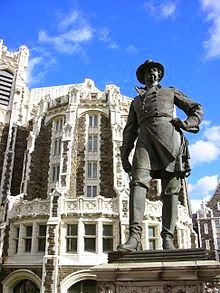 When City College began that great experiment, the academic quality and seriousness of elementary and high school education could be widely presumed. By the late 20th-century, that was no longer the case. As part of its open admissions policy , The City University made a real effort to provide remedial education. (The summer I graduated, I worked in curricular guidance, identifying appropriate remedial courses for incoming freshmen.) Since the 1990s, that essential task of academic remediation has been relegated to the system’s community colleges. Nor is New York's situation now unique. Nationally, it is now estimated that more than half of those beginning any post-secondary education are academically unprepared. The crisis of a generation graduating burdened by out-of-control college debt highlights the need to recover New York’s successful 19th-century commitment to truly free college education. But the contemporary condition of elementary and secondary schooling in the United States means that that ideal can only work with a concurrent commitment to fixing the content of American education at all levels. President Obama will be visiting Pope Francis today. There is nothing novel about American Presidents calling on the Pope. The first one to do so was Woodrow Wilson in 1919. Since then eight of his successors have all made the pilgrimage to the papal apartment; and from Paul VI to Benedict XVI (except for the short-lived John Paul I) all the recent popes have visited the United States and so also met the President here. These visits are, first and foremost, photo-ops, perhaps more ceremonial than substantive, but certainly also a valuable opportunity for each leader to highlight his institution's respective priorities and take the measure of the other. Vatican foreign policy has tended to be somewhat Eurocentric in its view of the U.S. One result has been a certain tension between the two regarding recent the recent wars the U.S. has fought. And, of course, there has been tension between the Holy See and the U.S. over the latter's promotion of a post-modern secularist agenda both at home and around the world. To this mix, Pope Francis brings the fresh perspective of the Global South, which sees things differently from either the U.S. or Europe. Much has been made recently about President Obama's Catholic experience working as a community organizer in Chicago. Undoubtedly, his exposure there to Catholic social teaching could create some commonality of concerns. Of course, the Pope is way to the left of President Obama on economic questions. Perhaps some of the Pope's global south perspective and Catholic moral vision may rub off on the President, pushing him to make combatting income inequality and world poverty higher priorities for the U.S. But there will always remain a yawning gap between the Catholic communitarian moral vision of society, on the one hand, and the individualistic consumerist economic vision of the American way of life, on the other. The moral stresses created and exacerbated by our American way of life have seriously polarized American society in recent decades - a polarization in which American Catholics have participated along with everyone else, echoing some of the same divisions as society as a whole. Deliberation and debate are at the heart of a healthy democratic polity. Division and polarization can be its undoing. As Daniel J. Boorstin observed in his 1953 classic, The Genius of American Politics, "A pretty good rule of thumb for us in the United States is that our national well-being is in inverse proportion to the sharpness and extent of theoretical differences between our political parties (p. 3). Today is the 22nd day of Lent. One-half of 44 is 22. So today marks the mid-point of Lent. 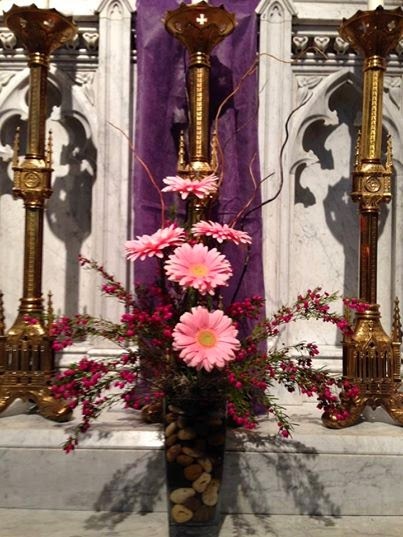 (The official, liturgical celebration of Lent's mid-point, will of course come this Sunday, Laetare Sunday.) As I suspect may be the case with many, my more ambitious Lenten resolves have largely gone unfulfilled. More or less, that's what happens to me every year, not least because of the inherent tension between overly ambitious ascetical aspirations and the reality of an undisciplined personality. And there are always good reasons - or at least good excuses. For example, much of this Lent's first week was taken up with an important community meeting, which meant lengthy travel to and from. And then I came back with a cold. That's not so bad as some years when I routinely got sick around the first week of Lent - sick as in bronchitis and even once a touch of pneumonia. I've never been good at being sick. The slightest symptom quickly eviscerates the most elevated of intentions. The bottom line is that to live Lent seriously requires commitment and perseverance, which of course is why Lent serves so well as a metaphor for life in general and the disciple's vocation in particular. Yet missing the mark and backsliding are also endemic features of life - including a Christian life. Hence the two-fold character of Lent as a season structured around conversion and repentance - and the two corresponding sacraments of baptism and penance. In the old liturgy, the baptismal dimension of Lent was always there in the background, but the post-conciliar reform has made Lent's baptismal dimension even more explicit. Either way, however, the recovery of that first fervor exemplified in the Church by the example of the catechumens remains a perennial challenge, which a serious engagement with the Lenten liturgy so dramatically highlights. So let's see where the second half of Lent leads me now! It's customary at my parish to acknowledge birthdays and wedding anniversaries at the end of Sunday Mass. Not everyone cares to seek the spotlight and call attention to his or her special day, but many do, and hence the custom has continued. So it was no surprise to me, at the end of Mass last weekend, when the Deacon alerted the congregation to my upcoming birthday. The congregation seemed happy to acknowledge my imminent milestone - happier still when I informed them that the Paulist Fathers will start collecting Social Security for me beginning next month! 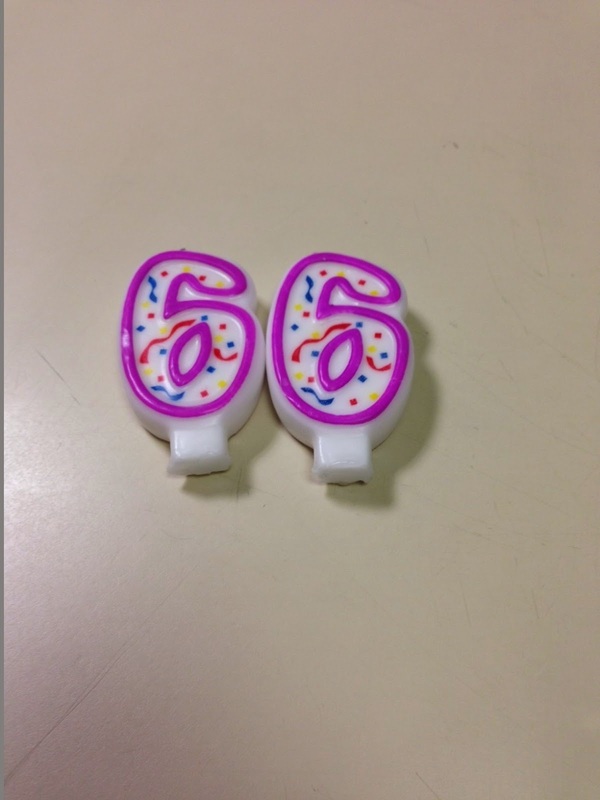 Society sort of makes a fuss about turning 65. So 66 seems somehow less special. Still, I think that any birthday ought to be celebrated. I don't mean having a party or even calling lots of attention to oneself. Parties are for the young; and at my age, birthdays are certainly not about being young. But they are vey much about being alive and about being part of a family, community, or network of relationships. Fittingly, I spent most of this birthday at an all-day diocesan meeting, which meant I had "Happy Birthday" sung to me by the Bishop and priests of the diocese! A very dear friend messaged me during that meeting. He wrote: "I think being born on the Annunciation balances being ordained on Saint Jude's day." Saint Jude is famously the patron of hopeless cases, lost causes, and things almost despaired of. It was an accident of the calendar, of course, but still certainly somehow very fitting that, after my nine years int he wilderness, I was finally a priest ordained on October 28, 1995, the feast of the Apostles Simon and Jude. When at age 33 – at the mid-point of my present lifespan - I applied for admission to my present religious community, I attempted to articulate my sense of providential grace guiding me through the ups and downs of life and leading me in a definite direction. If anything I still feel that way today – only that much more so. (One of the things that then and since has so attracted me about the life and spirituality of Isaac Hecker was how he had a similar sense of providential grace and the great good he was able to accomplish as a result, in spite of external opposition and personal limitations). I have, moreover, learned over time to trust the lessons of my own experience even more than I was ever at ease doing earlier. I think too of something Thomas Merton wrote in 1953: “We grow by making mistakes, individually and as a community. We must learn to profit by our own mistakes and by the mistakes of others.” (A Search for Solitude: Pursuing the Monk’s True Life, ed. Lawrence S. Cunningham, Harper Collins, 1996, p. 41). Finally, on my birthday especially, I remember older relatives, friends, and acquaintances - among them mentors and guides now gone from the scene - to whom I owe so much. I also recognize how blessed I have been by younger acquaintances, colleagues, and friends from whom I continue to learn so much that is so significant. Today’s Mass offers us 2 contrasting images of thirsty people. In the 1st reading, from Exodus, in their thirst for water the people grumbled against Moses. That’s the same Moses who just a few weeks earlier had led them through the Red Sea. It’s a familiar phenomenon found in every time and place, the fickle demandingness of hard-to-satisfy people, who ask: So what have you done for me lately? Moses’ people do eventually get their drink, but it has a sour aftertaste: Is the Lord in our midst or not? In the Gospel, in contrast, a foreigner with a somewhat complicated personal history is transformed by her encounter with Jesus into a renewed person – and becomes a missionary to her fellow Samaritans. Travelling north from Judea to Galilee, Jesus passed through Samaria – a route Jews generally avoided, because they despised Samaritans as a people of mixed ethnicity and dubious orthodoxy - ever since the Assyrian conquest of the Northern Kingdom of Israel some 700 years earlier. In a desert climate, of course, wells were very important. At such a well, one associated with the patriarch Jacob, ancestor to both Jews and Samaritans, Jesus, tired from his journey, sat down at the desert day’s hottest time. So, when, despite the unusual hour, a Samaritan woman came to draw water, Jesus asked for a drink. For a Jew, Jesus’ request risked ritual impurity. Hence the Samaritan woman’s amazed reaction: How can you, a Jew, ask me, a Samaritan, for a drink? Jesus, however, answered by turning the whole discussion upside down, offering her something even better than stagnant well water – living water welling up to eternal life. At this point, Jesus suddenly got very personal with her. In principle, we all need and want to be known and loved as we truly are, although we aren’t always actually all that ready and willing to respond when someone offers to do that. What would otherwise seem to some of us maybe more like a frightening invasion of privacy, in someone open (as she was) to conversion, Jesus’ unexpectedly personal knowledge of her (and his acceptance of her as a person) offered an opportunity not to be missed. Now, however heretical Samaritans may have been from Jerusalem’s perspective, they too were awaiting a Messiah, one who would presumably resolve the religious disputes dividing the two peoples. Jesus here minced no words, reminding her of something which we over the centuries sadly have sometimes forgotten - that salvation is from the Jews. But, while the story starts there, it doesn’t end there. Through Jesus, that salvation has at last become the blessing for all the nations that it was always intended to be. As Saint Paul wrote to the Romans, we have peace with God through our Lord Jesus Christ, through whom we have gained access by faith to this grace in which we stand. And so then the most wonderful thing happened. After all the trouble she had gone through, trudging to the well with her water jar at hottest hour of the day, suddenly she left her water jar and went into the town and said to the people, “Come see a man who told me everything I have done. Could he possibly be the Christ?” It’s still a question for her, but her hope has been stirred. And hope, St. Paul assures us, does not disappoint, because the love of God has been poured out into our hearts through the Holy Spirit who has been given to us. So she became a missionary – and quite a successful one, preaching not just with words but by the powerful witness of her transformed life. Perhaps the people in that Samaritan city simply sensed that what Jesus had done for her was what we all need and want – to be known and loved as we truly are and so to find the refreshing possibility of renewed life. So how do we, here and now, get to Jacob’s well – and the living water, which only Jesus can give us? This season of Lent is organized around two converging themes: conversion and repentance (and two corresponding sacraments: baptism and penance). Outsider though she was, the Samaritan woman was open to conversion. Sought by Jesus, she sought him in return, and then shared what she had found. Hence the significance of her story for those preparing for baptism at Easter, and the Church’s use of it today to celebrate what is called the 1st scrutiny of the elect. But what about the rest of us, baptized long ago, life-long (or at least long-term) members of his Church? Have we perhaps lost some of our fervor? Are we maybe more like Israel in the desert, quarreling and testing the Lord, asking “Is the Lord in our midst or not?” Lent challenges us to rediscover the new life first offered us in the living water of baptism, offered again and again in the sacrament of penance. Homily for the 3rd Sunday of Lent, Immaculate Conception Church and Holy Ghost Church, Knoxville, TN, March 22-23, 2014. In 1835, at the conclusion of Volume One of his classic study of American society, Democracy in America, Alexis de Tocqueville (1805-1859) famously observed Providence seemed to have destined two growing nations to determine between them the world’s future. The two nations were, of course, the United States and Russia – the former emphasizing individual freedom, the latter servitude and autocracy. The cogency and relevance of de Tocqueville’s analysis of American democracy can stand on their own merits and do not depend on his prophetic foresight. 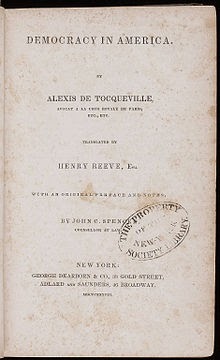 Still his prediction that the U.S. and Russia would become the dominant powers of the world and would be caught up in a competition rooted in the fundamental difference between their respective basic values has always added an extra something to de Tocqueville’s stature – especially for those generations of students (mine among them) that first studied de Tocqueville against the background of the Cold War. In the current re-make of cold war crisis in the escalating tensions between Russia and the West over Ukraine and Crimea, de Tocqueville's prophecy seems again especially prescient and timely. In the aftermath of World War II, there really were only two serious powers left on the international stage - the United States and the Soviet Union, both of which had teemed together to defeat Germany and then divided the post-war world into their separate spheres of influence. Thanks to the deterrent effect of nuclear weapons, the Cold War never escalated into the catastrophically destructive 3rd World War that would almost certainly have happened in the absence of nuclear weapons. Yet, while nuclear weapons created an artificial parity between the U.S. and the Soviet Union that prevented actual warfare, the era we call the Cold War was punctuated by constant crises that gave that era distinctive anxiety. The coverage of the current Crimean crisis at time seems to replicate some of those older crises in Berlin and elsewhere. Obviously, whatever the outcome of the current crisis, neither party plans to escalate to all-out war. Rhetorical flourishes aside, the Cold War was a classic exercise in Balance-of-Power politics, in which the U.S. and its allies worked together to contain Soviet aggressive designs within limits acceptable to both sides. The mention of Marx, moreover, reminds us that the Cold War was throughout its history further enflamed by a real ideological conflict between the American values of freedom, liberty, and constitutional government and the Soviet system of servitude and autocracy, cloaked in a Marxist revolutionary ideology of class conflict. De Tocqueville's prophecy, however, pre-dated Marxism and long pre-dated the Russian Revolution and the establishment of the Soviet system. De Tocqueville was responding to the challenge posed by Russia's long history of absolutism, then suddenly being propelled to the center of European politics in the post Napoleonic period. It reminds us that, while the particular formulation of the ideological dimension of the Cold War as a conflict between democracy and communism, is now obsolete, the fundamental ideological difference between the two types of societies remains real and relevant. As was the case in the original Cold War, other, non-Western societies will be continually comparing and measuring the contrasting values of American and Russian societies. Superior power always carries a lot of weight in these ostensibly ideological conflicts. In the aftermath of the collapse of the Soviet Union, communism, socialism, and everything associated with them seemed largely discredited, facilitating a world-wide embrace (however superficial) of Western democratic and constitutional language. As Russia reasserts her historic status and associates her new power with an alternative value system to the Western one - cloaked not in Marxist language now but in more traditional cultural and moral language (sanctified perhaps like the Tsars of old by the trappings of Russian Orthodoxy) - American cultural hegemony may again be challenged around the world by alternative value systems. This challenge will apply both to the traditional American ideology of freedom, liberty, and constitutionalism and to its newer, post-modern version. The most famous of those West Briton, foreign slaves was, of course, the great, 5th-century, missionary Bishop whom the Church commemorates today, Saint Patrick. The son of a deacon and grandson of a priest, Patrick was born into a well-to-do family of landed gentry in the Roman province of Britain. At age 16, however, his comfortable life was suddenly interrupted when he was captured and enslaved by Irish raiders. During his subsequent six years as a slave in Ireland, Patrick’s conventional Christianity was transformed into an ardent, fervent faith. So, after a successful escape and return to Britain, he felt a call to convert the pagan Irish to Christianity. Ordained a bishop, he returned to Ireland and remained there until his death on this day in 461. Unlike Patrick’s home island of Britain, Ireland had never been part of the Roman Empire. It was thus beyond the borders of what then constituted civilization. St. Patrick stands out as among the first in Western Christian history to feel the imperative to evangelize beyond the borders of the Empire, to take literally the Gospel’s mandate to teach all nations. Indeed, Richard Fletcher calls Patrick the first "to take the scriptural injunctions literally; to grasp that teaching all nations meant teaching even barbarians who lived beyond the frontiers of the Roman empire" (The Conversion of Europe: From Paganism to Christianity 371-1386 AD, p. 86). In his own autobiographical account, Patrick described his sense of mission. “I want to spend myself in that country, even in death, if the Lord should grant me this favor. I am deeply in his debt, for he gave me the great grace that through me many peoples should be reborn in God, and then made perfect by confirmation and everywhere among them clergy ordained for a people so recently coming to believe, one people gathered by the Lord from the ends of the earth. ... It is among that people that I want to wait for the promise made by him, who assuredly never tells a lie. ... This is our faith: believers are to come from the whole world” (Confession, 809). One of my favorite legends about Saint Patrick recalls his lighting the Easter Fire on the Hill of Slane on March 25, 433. This was witnessed by the Irish High King's court at Tara and prompted a pagan Druid to prophesy that, unless it was extinguished immediately, Patrick's fire, lit in defiance of royal decree, would burn forever in Ireland. When I learned that story in school, it was interpreted as predicting the long-term success and durability of Patrick's evangelizing mission. And indeed that mission was successful and produced further fruit in many more missionaries who in subsequent centuries set forth from Ireland to evangelize much of the world. Yet today that flame of faith seems imperiled by the new wave of 21st-century secularism that seems to be gaining ground in much of Europe. There may, however, be a lesson to be derived from the ancient faith's precipitous decline in the new Europe. Places like Ireland and Spain (and, on this side of the ocean, Quebec), which seemed so Catholic just a half-century ago are also places where the Church enjoyed a degree of political power which has since come to be resented, resulting in a strong secularizing reaction. Whatever the future prospects for a revitalized faith in traditionally Christian countries, whatever distinctive dynamics the New Evangelization may employ to re-light the fire, politics probably will not play the supporting part it played in the past. This week, Paulist Fathers, Paulist Associates, and other collaborators in Paulist ministry have been meeting for a special Pre-Assembly meeting - to set the stage, if not the precise agenda, for the forthcoming Paulist General Assembly, which will meet in New York and Washington, DC, in May and June. Although part of an ongoing process, which continues through the General Assembly, this pre-Assembly meeting has itself come at the end of an eventful and challenging year for the Church. For the Paulist Fathers also, this has also been a very eventful year, as the Community has chosen a new President and a new leadership team, while grappling with the challenge of responding, with diminished numbers and reduced resources, to a rapidly changing Church and American social reality . The General Assembly and the Community’s newly elected leaders will be called upon to address many complex questions concerning the Church's mission to a North American society undergoing rapid and radical transition. These circumstances, the lasting legacy of Servant of God Isaac Hecker, and the teaching and example of Pope Francis are challenging us all to embrace the call of the New Evangelization, which at its heart invites us all to a renewed encounter with Jesus Christ. As Pope Francis has reminded us in his recent Post-Synodal Apostolic Exhortation, “we were created for what the Gospel offers us: friendship with Jesus and love of our brothers and sisters. … It is impossible to persevere in a fervent evangelization unless we are convinced from personal experience that it is not the same thing to have known Jesus as not to have known him, not the same thing to walk with him as to walk blindly, not the same thing to hear his word as not to know it, and not the same thing to contemplate him, to worship him, to find our peace in him, as not to” (Evangelii Gaudium, 265). I think that all of us in the Church are being challenged to make the most of what may be an especially privileged moment in the history of the contemporary Church, and so to take a new look at who we are and what we are about, and to broaden our reach and that of the entire Church. In that same Exhortation, Pope Francis has reminded us of the missionary power of intercessory prayer. And surely we all have much to pray about! The current crisis in the Crimea has rekindled memories of the 1938 Sudetenland crisis and evoked the ghosts of Adolph Hitler and Neville Chamberlain and the Munich Pact. 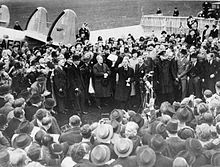 Both Munich and the consequent costs of appeasement were very much invoked in the years of the Cold War. In particular, Munich was was often invoked in support of standing firm, for example, in Vietnam - leading some of the war's opponents to warn against being bewitched by historical analogy. And it certainly is the case that the Munich analogy has been used excessively. If international accords are routinely dismissed by their opponents as "appeasement," then it will be harder and harder to evaluate them objectively. Having heard this so often, it seems to me that the problem with the Munich analogy is that there are really two Munich analogies - a short-term one and a long-term one, And how appropriate the analogy is entirely depends (as it did in 1938 and after) on whether a short-term or a long-term analysis is the appropriate one. "How horrible, fantastic, incredible it is that we should be digging trenches and trying on gas-masks here because of a quarrel in a far away country between people of whom we know nothing. It seems still more impossible that a quarrel which has already been settled in principle should be the subject of war." So spoke British Prime Minister Neville Chamberlain in his September 27, 1938, broadcast on the Sudetenland crisis. In the short-term, surely, Chamberlain was right. And, anyway, one might ask, why shouldn't the Sudetenland have become part of Germany? It was part of Czechoslovakia only accidentally, thanks to the disastrous dismemberment of the Hapsburg Empire in 1918 and the subsequent (also disastrous - and unjust) Treaty of Versailles. The post-World War I settlement had created new countries with new borders that left all sorts of people as minorities in countries they would not have chosen. Thus the Sudeten Germans, who had lived there for centuries, suddenly found themselves a minority in a newly created, non-German Czechoslovakia. That they desired union with their fellow German-speakers was perfectly natural. Nor was there anything particularly natural about the Czech border and their inclusion within it. Why should Britain or France endanger the peace of Europe to prevent the Sudeten Germans from achieving their own national self-determination? Looked at that way, in the short-term, Chamberlain's argument seemed to make perfect sense. But when one shifts to the longer-term, then one's perspective changes. When one interprets what was happening not just as a rectification of the injustices of the post-World War I borders, but as part of Hitler's long-term plan to dominate Europe, then the calculus changes rather significantly. In 1938, only a minority (among them, notably, Winston Churchill) were thinking long-term. Almost everyone else was thinking - and wanted to think - in short-term categories. Hence the delirium of joy throughout Western Europe when the Munich Pact was finally signed, delivering the Sudetenland to Hitler and thus avoiding a European war. Hence, Chamberlain - later to be excoriated for appeasement - was welcomed home from Munich as a hero for peace (photo). But then Hitler's ambitions did not stop and his larger aims could not longer be denied. Britain and France recognized this, and one year later they went to war with Germany over Poland. The difference between the two situations was their switch from a short-term calculus focused on the ostensible merits of the particular territorial dispute to a long-term calculus focused on the fundamental threat Hitler posed to the peace and stability of europe. If one looks at the contemporary crisis in the Crimea only in terms of short-term components, then again one might ask why the West should care. Crimea had been part of Russia for centuries. Given a choice, its population probably would prefer to be Russian rather than something else. Why shouldn't they be part of the country they really identify with? And why shouldn't Russia regain its historic dignity and status? But suppose President Putin really wants more, really wants to reassert Russian power (at least indirectly) over the rest of the former Russian Empire and Soviet Union - e.g., not just Ukraine but the Baltic states and perhaps even Poland? Then the crisis takes on a different long-term significance. As in 1938, no one now can know for sure. It was plausible to believe in September 1938 that appeasement might work. The lesson of history is that it didn't. But history is not automatic and doesn't automatically repeat itself. So we cannot know for certain which of Munich's lessons should be applied to this case. We cannot know in advance whether a Churchillian interpretation of Putin's actions is correct. But what we do know is that, if the Churchillian interpretation of Putin's long-term aggressive intentions turns out to be correct, then the consequences of not having responded accordingly now, will be that much worse later. Today is traditionally called Quadragesima Sunday, the ancient beginning of the 40-day season of Lent (called Quadragesima in Latin). Of course, our contemporary Lent begins on Ash Wednesday, but Ash Wednesday and the four following days were a later addition to the original Lenten season, which actually still starts counting the 40 days today, ending on the Thursday before Easter. 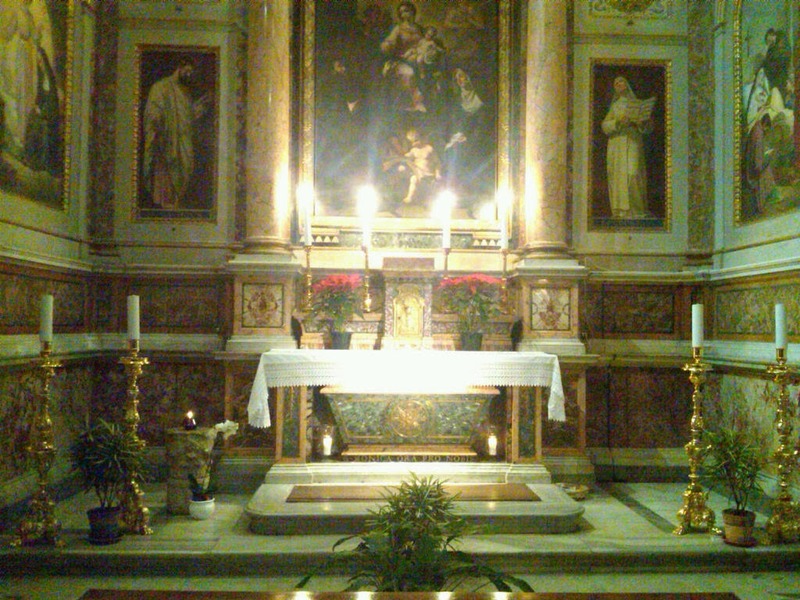 This Sunday’s importance in the Church's calendar is highlighted by the fact that the Roman stational church for today is the Basilica of Saint John Lateran, the “Mother Church” of Rome, the Pope’s official “cathedral.” Dedicated to Saint John the Baptist, Rome’s Lateran Basilica seems an especially appropriate place to recall Christ’s 40-day fast in the desert! But before we get to the desert, the Church today takes us all the way back to the beginning – to the garden. The Lord God planted a garden in Eden, in the east, and placed there the man whom he had formed – formed, incidentally, out of the clay of the ground, the same ground out of which God made the various trees and, a little later, the various wild animals and various birds of the air. The story is a familiar one. So we are apt to let it gently pass over us (in one ear and out the other, as the saying goes). But its presence and prominence in this Lenten liturgy suggests that that would be a mistake. It’s a story, to be sure, but a special kind of, a study in story-form of who we are and what we’re about. In this story that says so much, we learn that life itself is a gift. So too is the world, which we are not the owners of, but more like tenants. And, if that world has become less of a garden and more like a desert, the story has something to say about that too! In the middle of the garden grows a tree – the tree of the knowledge of good and evil, which we soon learn is a kind of boundary, not to be touched, let alone eaten from. It’s a reminder that human beings didn’t make the world, don’t own it, and are not completely in charge. Neither is the smart, cunning serpent, the tempter, who acts as if he were in charge and whom tradition treats as a figure for the devil – the same Satan who will tempt Jesus in the desert, pretending there to be in charge of all the kingdoms of the world in their magnificence. The devil is a liar, but a subtle, cunning liar. Superficially, what the serpent says to Eve is true. Adam and Eve will not die – at least not right away. And their eyes will be opened to know what is good and what is evil. But, when what the tempter promises actually happens, then we quickly see how well we have been deceived! True they did not die right away, but die they did. Through one man, Saint Paul says, sin entered the world, and through sin, death, and thus death came to all. The same ground we once came from, originally filled with the Creator’s breath of life, to that same ground we must all, on account of sin, return now in death – as we were so dramatically, ritually reminded this past Ash Wednesday. In case the ashes themselves weren’t clear enough as a symbol of death, we were told it in words: Remember, you are dust, and to dust you will return! As so often happens with our limited Lectionary, the 1st reading ends abruptly. Adam and Eve try to repair the damage they have done by making themselves clothes – in effect hiding from one another. They will soon also try to hide from God, for the tempter had taught them to think of God as an enemy, as an oppressor. But, as the story continues, God does not desert them nor abandon them to their guilt. That’s good news. And it looks ahead, looks forward, to the even bigger and better news Saint Paul proclaims in the 2nd reading. But the gift is not like the transgression. For if by the transgression of the one, the many died, how much more did the grace of God and the gracious gift of the one man Jesus Christ overflow for the many. Thanks to Adam’s sin, the garden has become a desert. That is where we find ourselves now, and so where we encounter the devil – just as Jesus did. But because Jesus has himself not just encountered but defeated the devil, our own victory over Satan is already in sight. For just as through the disobedience of the one man the many were made sinners, so, through the obedience of the one, the many will be made righteous. Homily for the 1st Sunday of Lent, Immaculate Conception Church, Knoxville, TN, March 9, 2014. 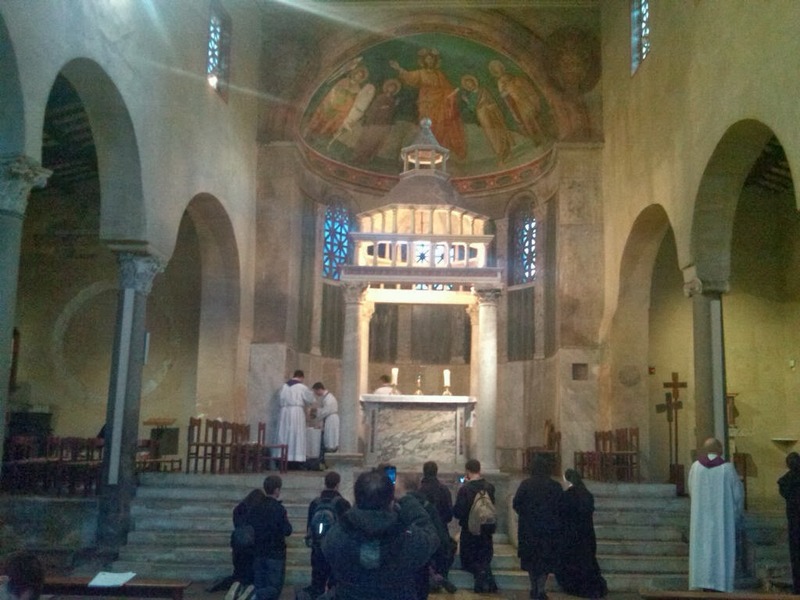 The original Roman stational church for this Saturday after Ash Wednesday was the church of Saint Tryphon. But, when that ancient church was demolished in the 18th century, its stational privileges (along with the martyr Tryphon's relics) were transferred to the nearby Basilica of Saint Augustine, not far from the popular tourist site of the Piazza Navona. Saint Augustine's mother, Saint Monica, who died at the Roman port of Ostia in 387, is buried in one of the church's chapels (photo). Sandwiched in Augustine's sometimes tedious treatment of ancient Roman beliefs and his abundance of historical counter-examples are some very interesting arguments addressing issues that seem as timely today as ever. Thus, for example, in Book V, he treats the perennially complex issue of divine foreknowledge and free will. His argument may or may not be completely convincing to a contemporary audience. But it is a serious argument. In the process of attacking Cicero's position on this subject, however, Augustine observes that, seeking to make men free, Cicero makes them irreverent. That is, to preserve the freedom of the human will and hence human moral responsibility, thus avoiding the ethical calamity that would ensue for society were the contrary to be affirmed, Cicero denied divine foreknowledge. Not knowing or seeing any path to affirm both, Cicero judged the religious damage done thereby to be a lesser cost to humanity than the ethical damage done by denying human freedom. To which, Augustine responds that the religious mind chooses both, confesses both, and maintains both by the faith of piety. I think in this instance Augustine has inadvertently highlighted one of the great fault lines of modernity - the idea that God gets in the way of human freedom and fulfillment. The dominant debates tearing our society apart today mostly have to do with particular conceptions of personal freedom and fulfillment. The political Right is dominated by an increasingly shrill libertarianism that is shattering traditional moral social conventions in favor of individual freedom in relation to the economic marketplace and political community. The political Left is likewise dominated by a correspondingly shrill social libertarianism that is shattering traditional moral and cultural conventions in relation to personal behavior and non-political social institutions. In contrast, this Sunday's scripture readings about the creation and fall of humanity and Satan's temptations of Jesus in the desert all point to a radically different understanding of human fulfillment - a vision human life lived within its own inherent limits and finding fulfillment in loving relationship with its Creator. In the words of Saint Irenaeus (c.130-202): In proportion to God's need of nothing is humanity's need for communion with God. One of my more happy early childhood memories is of going regularly with my mother, many a Friday, to the fish market just off the Grand Concourse in the Bronx. My immigrant grandparents had come from a Sicilian port city and appreciated good fish. So I ate lots of fish growing up (and a particularly tasty fish soup that my mother used to make). And at that time too Friday abstinence (the prohibition of meat on Fridays and certain other days in the Church's calendar - e.g., Christmas Eve) was one of those immemorial practices that seemed to have always been and always would be. But then in the 1960s came an unexpected change in Church law - one which Andrew Greeley recognized as a major mistake - and the familiar "Fish on Friday" practice of Friday abstinence became (except in Lent) a thing of the past in the United States. In 2011, the Bishops of England and Wales wisely restored the ancient practice of all-year Friday abstinence. They declared: “Every Friday is set aside by the Church as a special day of penance, for it is the day of the death of our Lord. The law of the Church requires Catholics to abstain from meat on Fridays, or some other form of food, or to observe some other form of penance laid down by the Bishops’ Conference. The Bishops [of England and Wales] wish to re-establish the practice of Friday penance in the lives of the faithful as a clear and distinctive mark of their own Catholic identity. It is important that all the faithful be united in a common celebration of Friday penance. Respectful of this, and in accordance with the mind of the whole Church, the Bishops’ Conference wishes to remind all Catholics in England and Wales of the obligation of Friday Penance. The Bishops have decided to re-establish the practice that this should be fulfilled by abstaining from meat. ...In all these ways we unite our sacrifices to the sacrifice of Christ, who gave up his very life for our salvation." Anyway, we ate lots of good fish and cooked it well in my Italian-American childhood home. But it wasn't until much later that I encountered the American Catholic "Fish Fry." I can recall exactly when it was. It was 1977, and I was a newly hired Assistant Professor at a midwestern university, where the faculty dining room served a "fish fry" (fried cod, french fires, and cole slaw) for lunch every Friday. Much more recently, however, I have come to experience the Friday evening "Fish Fry" as a standard Lenten parish activity. So, like many other parishes in many parts of the country, we will have a "Fish Fry" before Stations of the Cross this evening and every Friday during Lent - thanks to our wonderfully active local Council of the Knights of Columbus. If my Friday "Fish Fry" experience came relatively late in life, the association of Lenten Fridays with the Stations of the Cross goes all the way back to grade school. In those days (the mid-late 1950s), practically the entire parish school would attend the Stations at the end of the school day, filling up the big upper church (or the even bigger lower) church every Friday afternoon in Lent. The priest, accompanied by a crossbearer and two acolytes with lighted candles would walk from station to station and lead us in Saint Alphonsus Liguori's meditations and prayers (after which the service would conclude - as almost all "popular devotions" did in those days - with Benediction of the Blessed Sacrament). For many of us, I think, the best part was singing a verse of the Stabat Mater as the priest proceeded from one station to the next. What made it especially fun was how we seemed to sing that hymn as mournfully and lugubriously as possible! A "Fish Fry" can also be lots of fun, and it can certainly contribute enormously to helping to build parish community, itself a significant contribution to the New Evangelization. But above all Lent would hardly seem like Lent without the Stations! "Devotional exercises which are harmonious with the Lenten season are to be encouraged, for example the Stations of the Cross. These devotional exercises should help foster the liturgical spirit with which the faithful can prepare themselves for the celebration of Christ's Paschal Mystery" (Paschales Solemnitatis, 1988). The connection with the soldier and martyr Saint George may account for what was the traditional Gospel account for today - Matthew's story of the Roman centurion in Capernaum who entreated Jesus to heal his seriously sick servant and whose famous words, Lord, I am not worthy, we recite at every Mass before Communion. The Missal of Paul VI broke with the ancient Lenten lectionary and assigned different daily readings to many of the Lenten weekdays, without regard to the traditional stations. So today, instead of Matthew's story of the centurion, we will be hearing Luke 9:22-25 - Jesus' first prediction of his passion, which is actually perhaps even more appropriate at the beginning of Lent (and one whose image of spiritual combat the soldier and martyr Saint George himself would likely identify with at least as much as with the story of the centurion). The distinctive "daily" in Jesus' challenge to follow him through self-denial changes what might otherwise sound like a once-in-a-lifetime giving oneself over to Jesus into an ongoing, continued commitment to discipleship experienced in the daily routine of the here and now. Undoubtedly, the challenge of discipleship can call for dramatic, dragon-slaying heroics at times, but more often it is experienced in the undramatic day-to-day struggle to align oneself with the will and plan of God. Hence, Lent lasts 40 days not just one. It's not just the poetic intensity of one Ash Wednesday but a lot of much more prosaic Thursdays.